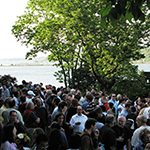 We are pleased to offer the eleventh Cold Spring Harbor meeting on Telomeres & Telomerase to bring together a diverse group of scientists studying various molecular, cellular and genetic aspects of telomeres and telomerase biology. The meeting will begin at 7:30 pm on Tuesday, April 30, and run through lunch on Saturday, May 4, 2019. 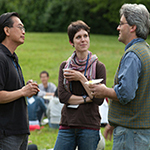 The meeting is intended to provide a format for the exchange of ideas and information, to discuss the latest research findings and technical advances, and to facilitate interaction amongst groups active in diverse systems. Unpublished material and must be submitted electronically by the abstract deadline. 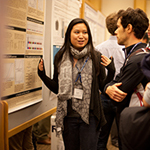 Selection of material for oral and poster presentation will be made by the organizers. The status (talk/poster) of abstracts will be posted on our web site as soon as decisions have been made by the organizers. Please apply in writing via email to Maureen Morrow if you require financial support; preference will be given to those submitting abstracts. 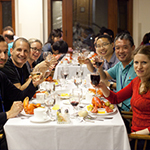 The designated hashtag for this meeting is #cshltelo. Note that you must obtain permission from an individual presenter before live-tweeting or discussing his/her talk, poster, or research results on social media. Click the Policies tab above to see our full Confidentiality & Reporting Policy.